Have a digital copy (pdf or image file) your proof of Certificate of Insurance for Liability handy to upload! Vendor sites will be assigned when you arrive for setup. “REFRESHMENT STAND. 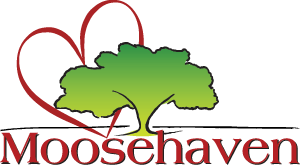 MOOSEHAVEN, INC, PROPERTY OWNER; MOOSE INTERNATIONAL, INC, SOLE MEMBER OF MOOSEHAVEN, INC, ; MOOSE FOUNDATION, INC, ; ARE LISTED AS ADDITIONAL INSURED WITH REGUARDS TO GENERAL LIABILITY AND COVERAGE AS INDICATED WITHIN THE TERMS AND CONDITIONS OF THE INSURANCE CONTRACT. Your payment reserve a 20′ x 20′ space; tent or tables are not provided. Set up: Tuesday, July 3rd from 10:00am-4:00pm or July 4th 11:00am- 3:30pm.